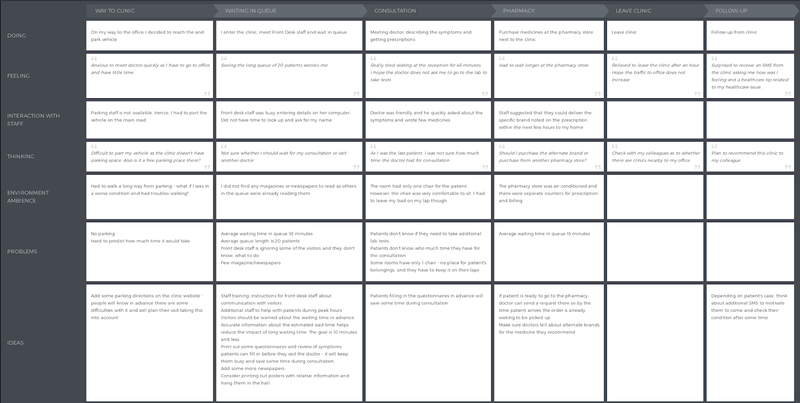 No one initiates journey mapping for the sake of journey mapping. There is a long list of reasons why companies do this activity. 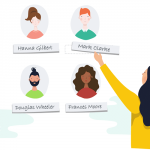 Improving customer satisfaction scores, building customer loyalty, supporting new corporate initiatives, or building a new product - those are on the list. But can’t just a simple Excel spreadsheet do the job? After all, it's all plain text, right? But let's ask ourselves - when we go to our favorite grocery store, which candy has more chances to be spotted out and end up in our shopping cart: the one with well-designed packaging or the one in a gray wrapper? Same content, different tools. Which one would you show your boss? A clear and compelling map is a must for understanding the journey, barriers and moments of truth. It will also sell your ideas more easily. 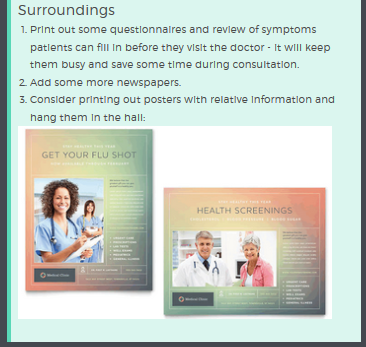 And in this article, we'll equip you with simple tips on how to make your CJM more visual and impactful. There are a few cases where you should sprinkle your map with some good graphics. But don't think any picture will do as long as it's bright and fun. It has to be functional, not distracting. So let's take a look at what visuals to use for each case. If you are mapping a journey for a software product add interface screenshots. If there are some triggered email notifications in between, add those, too. Are those making sense at all? Aren’t you asking users for a favor prior to giving something to them first? Are the steps predictable and clear? 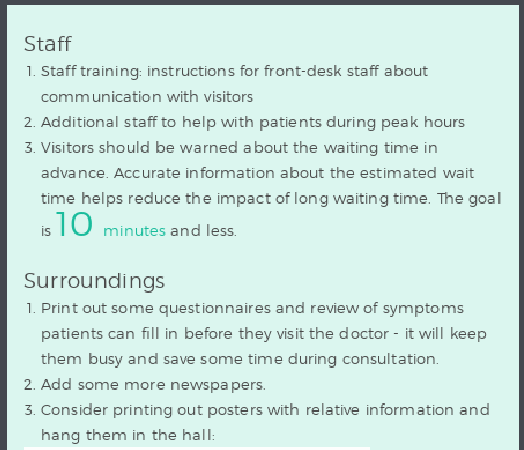 Are the overall tone of voice and visual design consistent throughout the journey? Do the customers have any troubles finding you? Is the navigation confusing? 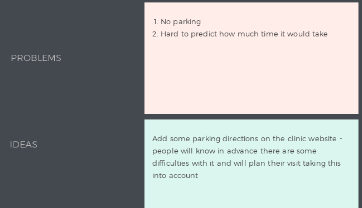 How about parking? What do they see around them? What impression does it make? Are they comfortable in the given context? If you produce tangible goods then you should definitely add photos of the packaging and the product itself. And not just products, it can be invoices, flyers, posters, business cards, ads etc. As you are designing experiences you must have the full picture of what impression those things produce on your customers, what emotions they invoke and what unexpected effects they might have. 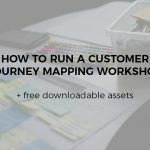 It is unlikely that every employee involved in customer journey map discussions will have time to go through the same path that customers take - and that’s ok. That's why you create the map - to give them a taste of what customers feel and to awaken empathy. 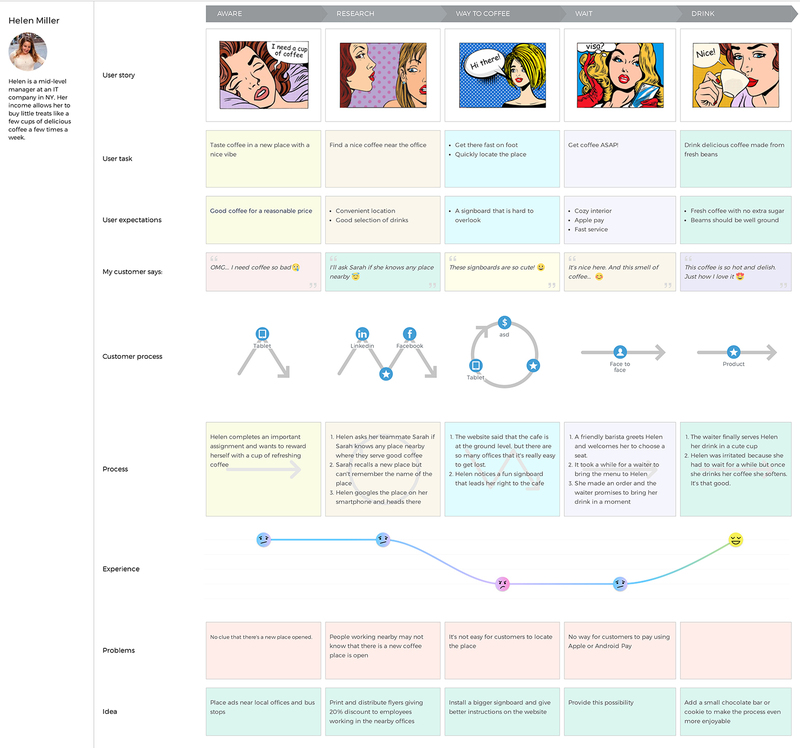 The best part of each customer journey map is when the team comes up with ideas on how to make things better for both the customers and the business. Now the worst part is those ideas don't make it to production that often. When you capture them in plain text, chances are even higher that they will remain invisible and forgotten. So, how can we change it? Show examples of how others approach the same problem. This will perform much better than a thousand words. Add rough sketches of your suggestions. Those may cover interface, but also the overall process (number of steps, their sequence). A quick sketch is easy to create and much easier to understand than a wordy description. To make effective decisions you need to be able to identify the points of extremes - when a customer is extremely satisfied or, the opposite, extremely frustrated. You need the first one so you understand what works and make sure you keep it that way and don’t break accidentally during the transformation process. The latter needs to be easily identified so you can fix it as soon as possible as those are the things that ruin your KPIs and cost company money and reputation. Feel free to add quotes complementing each emotion: nothing speaks better than an angry or excited customer. Want to take it a notch further? add a link to a public review. Seeing a screenshot of someone telling about their experience somewhere on Facebook will also give your team a sense of what your customers actually feel. And also what others see when they go searching for reviews. Is there a clear reason why each step is in place? Can you simplify the overall process and help customers get what they need sooner? Is the route through the system clear to customers? Are there points where they’re unsure where to go next? Are people satisfied with the overall timespan and with the time taken for individual steps? Adding some channels icons brings even more visualization and helps to figure out the process at a glance. 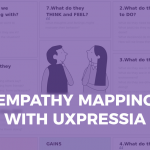 To add visuals or not to add them is your choice after all, but whatever you decide in the end, keep in mind that at UXPressia you will create your maps and personas a mere minutes without any graphic design skills whatsoever. 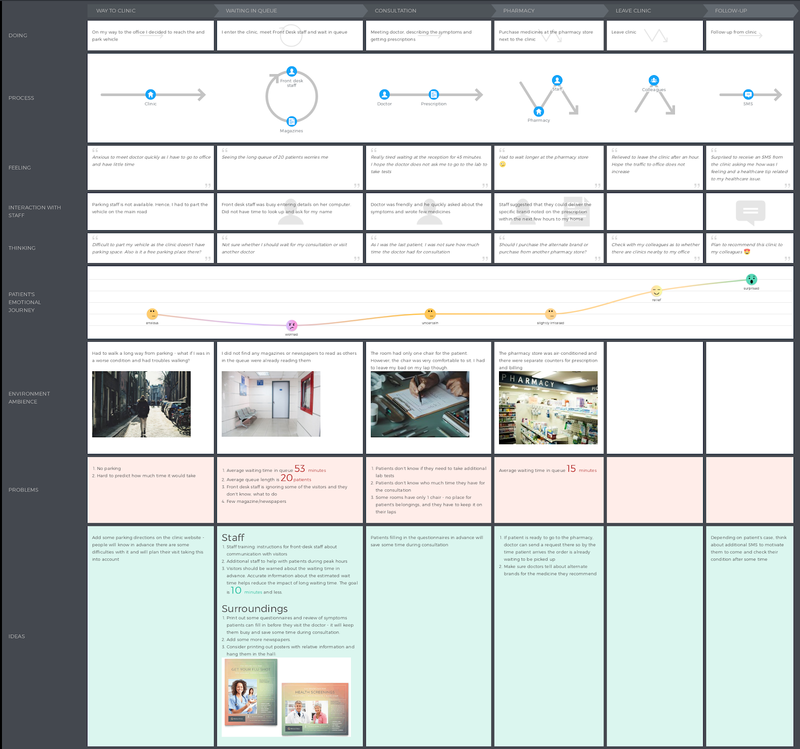 So if you need to visualize that journey map and the deadline was yesterday, then hop aboard, sign up for a free account and start mapping! We have all the necessary sections for images, videos and anything you want to have on your map.